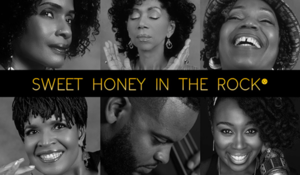 Fairfield, CT - The Quick Center for the Arts welcomes Sweet Honey in the Rock on Sunday, February 10, at 7:00 p.m. Prepare yourself for the inspiring and soulful Grammy Nominated all-female a cappella vocal quartet. Sweet Honey in the Rock remains among the most vibrant, versatile and ever relevant musical collectives in music today, both as a performance ensemble and as an ambassadorial African American organization founded on the missions of empowerment, education and entertainment.